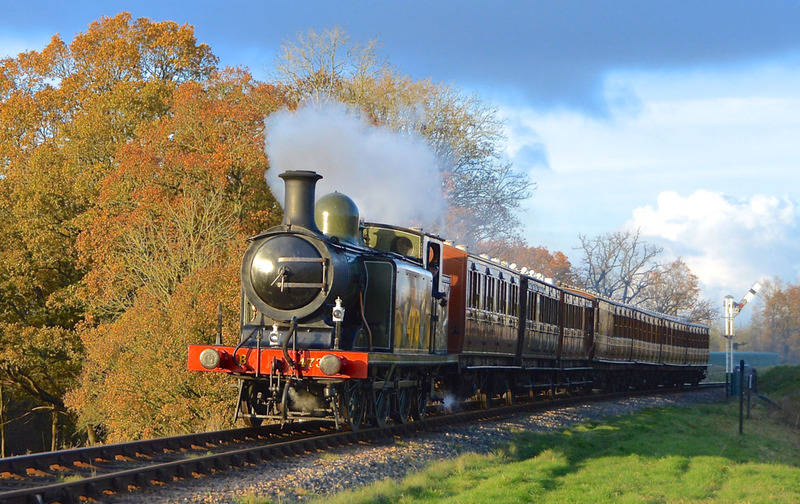 Steam-hauled trains run between East Grinstead and Sheffield Park on our 11-mile line, most weekends, all school holidays and half-terms thoughout the year, and daily from Easter to October. Full details in our timetable. the old London Brighton & South Coast Railway in 1960. Since then it has developed into one of the largest tourist attractions in Sussex, yet it still remains true to its objectives of the preservation for posterity of a country branch line, its steam locomotives, coaches and goods stock, signalling systems, stations and operating practices. 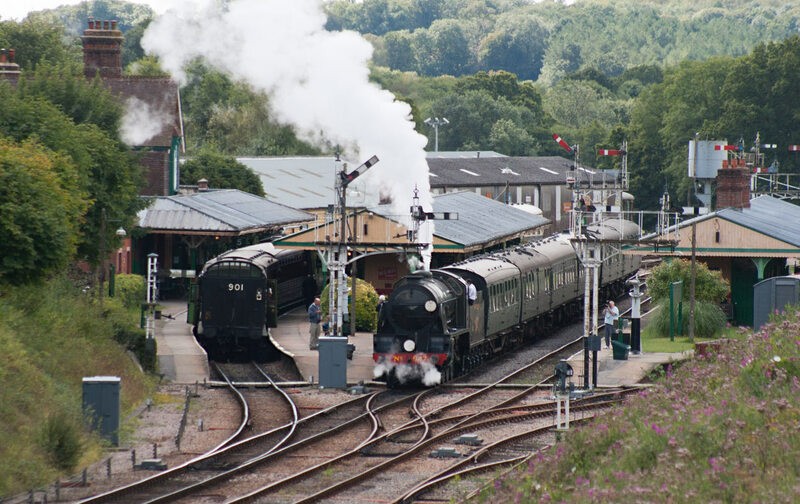 A steam train ride on the Bluebell is one of the top things to do with kids on holiday for a day out in Sussex (the line crosses the border between East Sussex and West Sussex, and is not far from Surrey). 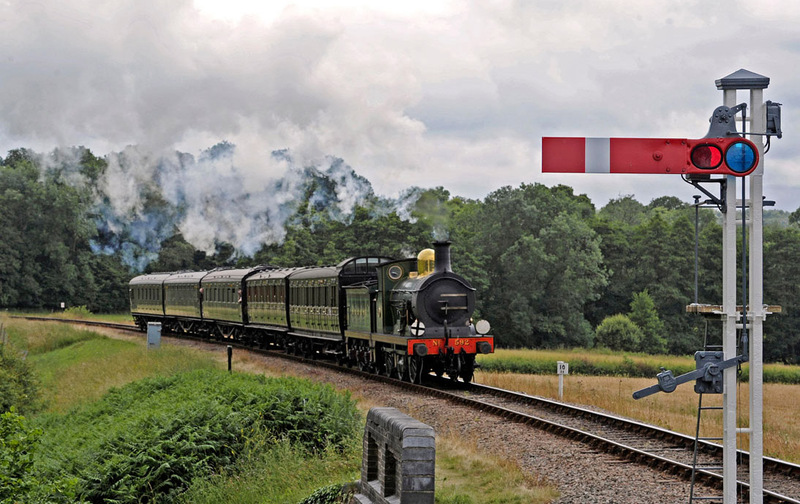 This heritage railway is close to Haywards Heath, Gatwick Airport, Uckfield, Brighton and Lewes, in the Ashdown Forest/Mid Sussex area of England. We also operate a variety of special services, such as the Golden Arrow Pullman dining train, Afternoon Tea in our Wealden Rambler lounge car train, and many special events for enthusiasts and families alike. Take advantage of our Bluebell Bonus offer, and other Special Offers. Photos supplied by Bluebell Railway – courtesy of, and copyright of, John Sandys, Steve Lee and Derek Hayward.